Last updated by Frankye at February 1, 2011 . Show your friends you’re supporting our troops & OnTimeSupplies.com will make charitable donations of goods to HeroBox. American service member are heroes that help and protect us all in so many ways, and they do it at great personal costs. OnTimeSupplies.com loves our troops, and February is the month of love! That’s why the discount office supplies retailer is making charitable donations of goods to HeroBox all month long. HeroBox is an amazing organization that provides needed items and moral support to deployed U.S. troops. That’s a mission we all can get behind! So show your friends you’re supporting our troops and OnTimeSupplies.com will make a donation of 50¢ in goods to HeroBox. 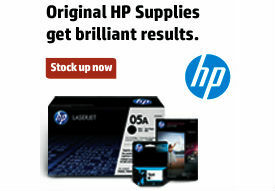 Follow OnTimeSupplies.com online at Twitter or Facebook, or subscribe to Smart Office, our online blog about office supplies. The link must be included! If you post your message of support in the comments of this post, plus on Twitter and Facebook, OnTimeSupplies.com will make three donations to HeroBox — one for each post. So show some love for the troops, tell all your friends and help OnTimeSupplies.com aid the HeroBox mission of supporting our troops.